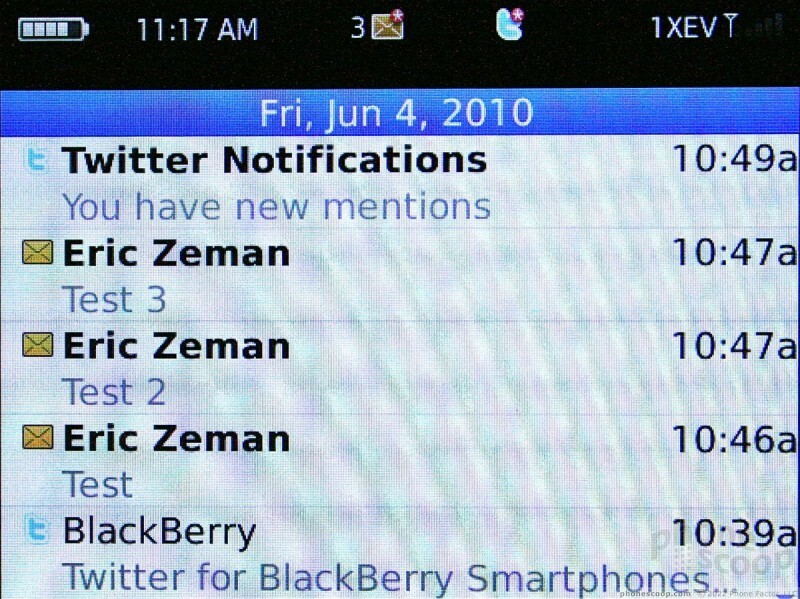 Blackberry devices are powerhouses when it comes to messaging tasks. On the email side of the equation, the 9650 has your bases covered. It will support up to 10 different email accounts (Exchange, POP, IMAP) if you're crazy enough to have that many, and can merge all emails into a unified inbox of sorts that collects every message sent to the device. You can also choose to view each inbox separately, though if you have a lot of accounts that can be a real pain. Probably the most powerful aspect of the email app is the search function. Because BlackBerries keep messages stored for months (unless you delete them more often), searching your inbox might be a painful prospect for that one email or SMS you know contains vital information. With the search function, you can find practically anything in your inbox as long as it is still stored on the device. When viewing emails, the BlackBerry software recognizes phone numbers and email addresses. When you scroll down a page, they are auto-highlighted, allowing you to email people or call them without having to type anything. Simply scroll over the name or email to highlight it, press the trackpad, and bingo. 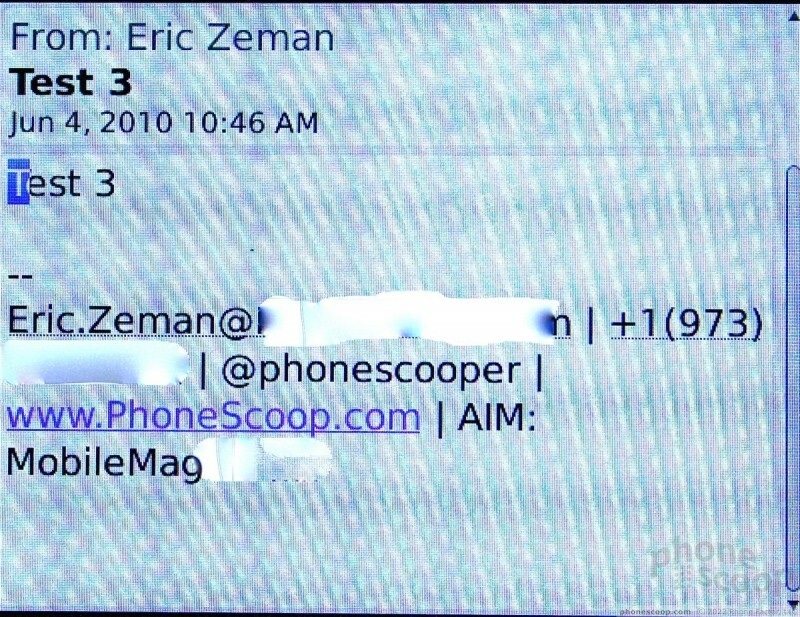 Hitting the BlackBerry key opens up the options list for the emails or numbers found in your inbox. SMS and MMS messages are threaded into a single conversation with nice visual cues to let you know which messages are yours and which are from your contact's. The 9650 has Windows Live, Yahoo, Google Talk, AIM, ICQ and BlackBerry Messenger all built in. The first four behave as they do on other handsets, the only difference being the way you interact with them via the BlackBerry user interface. The 9650 is running the latest version of BlackBerry Messenger. The power of BlackBerry Messenger, which uses device PINs to shuttle messages back and forth, shouldn't be underestimated. It is a free way to send messages that uses RIM's BlackBerry Internet Services/BlackBerry Enterprise Server to deliver missives instantly.